A systematic evaluation of methods for tailoring genome-scale metabolic models. 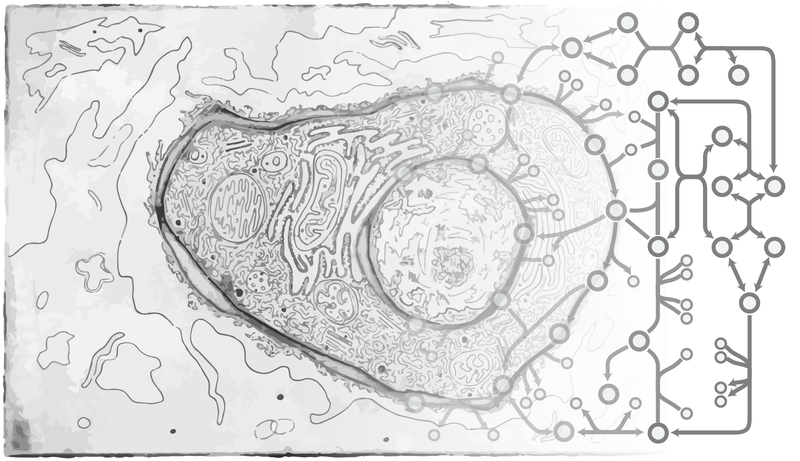 Cell Systems, 4, 1-12 (2017). A consensus genome-scale reconstruction of Chinese hamster ovary cell metabolism. Cell Systems, 3, 434 (2016). Predictive glycoengineering of biosimilars using a Markov chain glycosylation model. Biotechnology Journal, (2016). Rapid neurogenesis through transcriptional activation in human stem cells. Molecular Systems Biology, 10:760 (2014). Genomic landscapes of Chinese hamster ovary cell lines as revealed by the Cricetulus griseus draft genome. Nature Biotechnology. 31:759 (2013). Network context and selection in the evolution to enzyme specificity. Science. 337:1101 (2012). Constraining the metabolic genotype-phenotype relationship using a phylogeny of in silico methods. Nature Reviews Microbiology. 10:291 (2012). The Genomic Sequence of the Chinese Hamster Ovary (CHO) K1 cell line. Nature Biotechnology, 29:735 (2011). Large-scale in silico modeling of metabolic interactions between cell types in the human brain. Nature Biotechnology, 28:1279 (2010). For a current list, click here. 71. Lytle, N., Ferguson, L.P., Rajbhandari, N., Gilroy, K., Fox, R.G., Robertson, N., Deshpande, A., Schürch, C., Hamilton, M., Robertson, N., Lin, W., Noel, P., Wartenberg, M, Zlobec, I., Eichmann, M., Galván, J.A., Karamitopoulou, E., Gilderman, T., Esparza, L.A., Shima, Y., Spahn, P., French, R., Lewis, N.E., Fisch, K.M., Sasik, R., Rosenthal, S.B., Kritzik, M., Von Hoff, D., Han, H., Ideker, T., Deshpande, A., Lowy, A.M., Adams, P., Reya, T. A multiscale map of the stem cell state in pancreatic adenocarcinoma. Cell, in press (2019). 31. Lee, J.S., Grav, L.M., Lewis, N.E., Kildegaard, H.F. CRISPR/Cas9-mediated genome engineering of CHO cell factories: Application and perspectives. Biotechnology Journal, 10:979–994 (2015). DOI: 10.1002/biot.201500082. 15. Lewis, N.E., Nagarajan, H., Palsson, B.Ø. Constraining the metabolic genotype-phenotype relationship using a phylogeny of in silico methods. Nature Reviews Microbiology.10:291-305 (2012). Click here for accompanying website with a catalog of constraint-based methods. 5. Lewis, N.E., Chiang, W.T., Puig, M., Zhang, Y., Rosenberg, A. Method to Suppress Viral Infection of Mammalian Cells. Patent pending – provisional. 4. Lewis, N.E., Gazestani, V., Pramparo, T., Courchesne, E. Expression-based diagnosis, prognosis, and treatment of complex diseases. Patent pending – provisional. 3. Hefzi, H., Lewis, N.E. Mammalian cells devoid of lactate dehydrogenase activity WO Patent WO2017192437A1. 2. Spahn, P., Lewis, N.E. Systems and methods for predicting glycosylation on proteins. WO Patent 2016187341 A1. 1. Herrgard, M. J., Pedersen, L.E., Lewis, N.E., Bruntse, A.B. Methods for modeling Chinese hamster ovary (CHO) cell metabolism. WO Patent WO2015010088-A1.